Our long handle matcha whisk has been beautifully designed to allow you to easily mix your matcha in a cup, mug or longer glass. 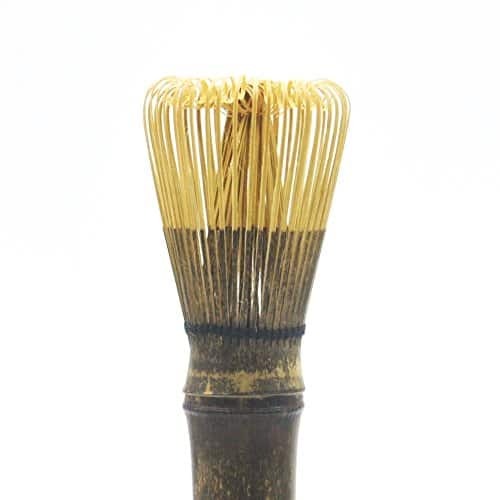 This matcha whisk’s extra length and slimmer brush has been carefully handcrafted from one single piece of purple bamboo for extra durability and style. No more clumps – just a delicious, smooth cup of matcha tea. Are you serious about your matcha? Now you can mix your matcha in a cup, mug or longer glass with our beautifully crafted matcha long handle whisk. We handcraft each of these matcha whisks from one single piece of purple bamboo ensuring extra durability and style. Looking for the perfect cup of matcha tea? This matcha whisk perfectly complements to our three month supply of premium matcha green tea powder. Packaging: We package each matcha long handle whisk in a white box with our label and whisking instructions.